Flies are able to use a wide variety of environments for resources. Adults of some species are predacious while others are known to feed on nectar from flowers as well as tree sap. Hover flies, also known as flower flies or drone flies, have the strongest association with flowers. There are more than 6,000 species of hover flies, and they pollinate many fruit crops including apples, blueberries, cherries and peaches. 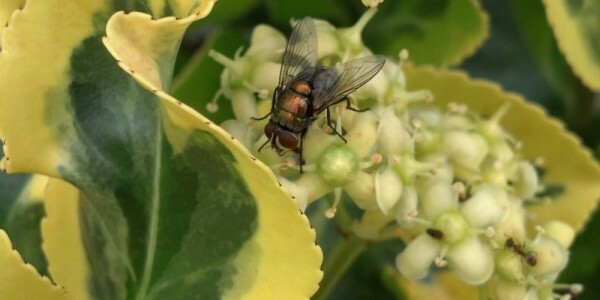 Some flies, such as house flies, carrion flies, can be carriers of up to 100 different kinds of bacteria and most often come into contact with people around unsanitary conditions.